Convert your form entries into sales qualified leads or permanent users. 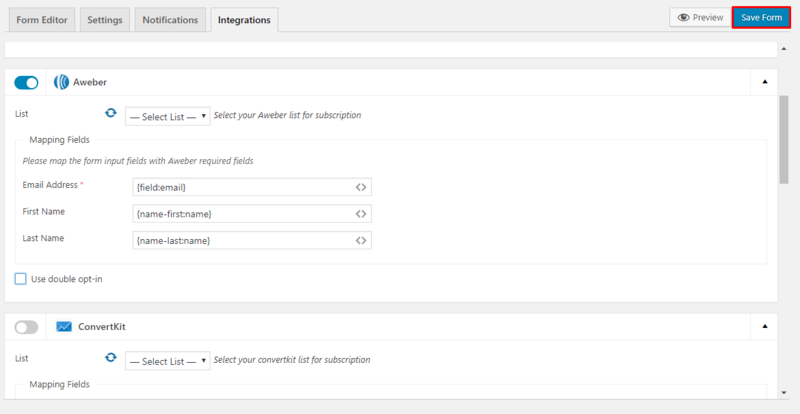 Connect weForms with AWeber mail lists to reach submitters via email campaigns. Easily grow your contact base & do more emails! 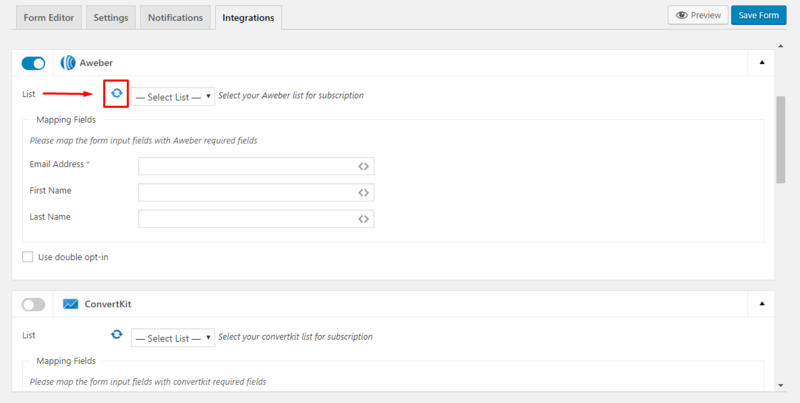 Create unlimited newsletter signup forms and other types of forms. 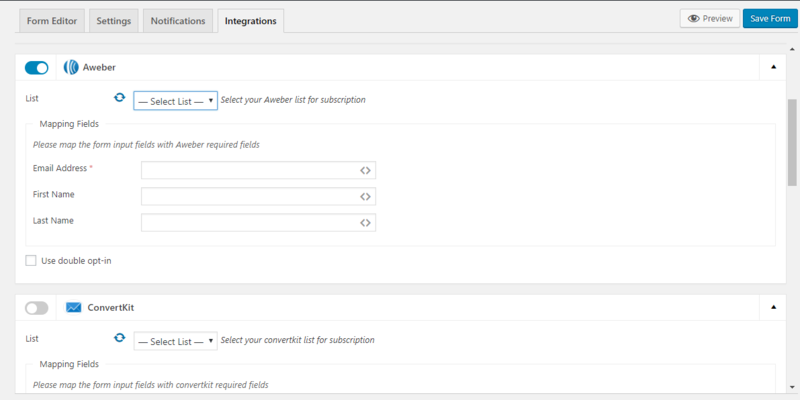 Easily connect with your AWeber account with a one-time set up. 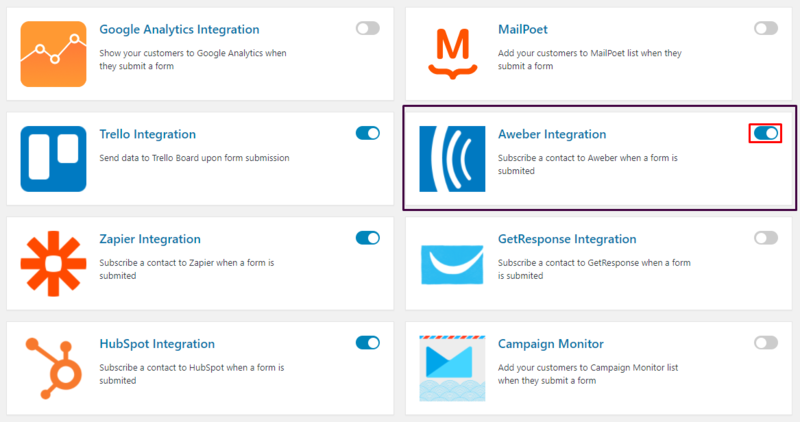 Choose AWeber mail list of your choice to connect with a form. Automatically connect all submissions for a form to your chosen list. You only need to select once! 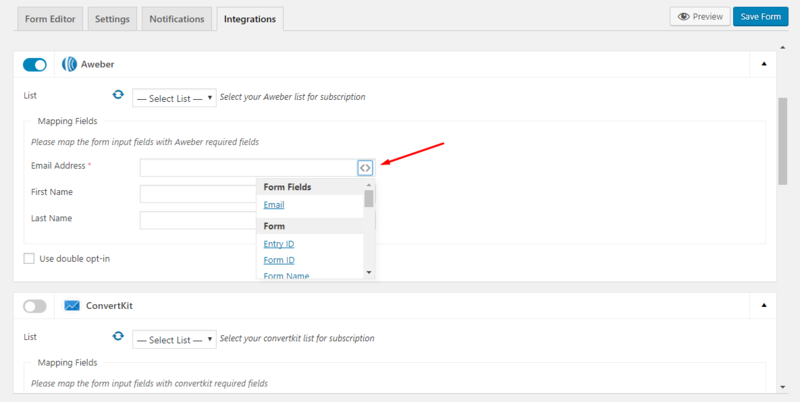 Map form fields with AWeber required fields. Do with your new contacts everything that you do already with AWeber. Grow more leads. Conduct better email campaigns.